Guests without photo ID will not be admitted. Celebrate Architecture Week 2011 with a visit to one of Washington's most spectacular historical houses: the former Residence of the Ambassador of Japan. Built in 1931 and designed by the architectural firm Delano & Aldrich, the Georgian revival style residence is characterized by a sense of modesty, proportion, symmetry, and balance. 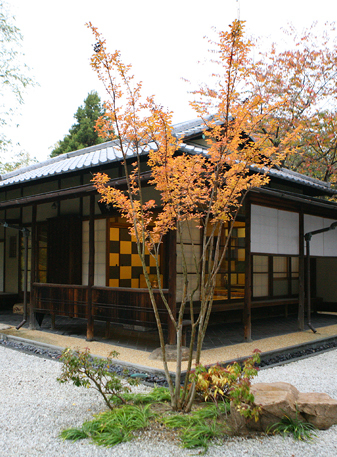 Just a short walk away, hidden on the grounds of the Embassy of Japan, is an authentic Japanese teahouse named Ippakutei, the “Teahouse of 100 Years”. Considered the greatest of its kind outside of Japan, it was built to commemorate the centennial anniversary of the ratification of the Japan-US Treaty of Amity and Commerce in 1960. Architecture Week is a series of public events that celebrate architecture in the nation's capital. With this 12th celebration, it aims to shine a spotlight on something unique to Washington: the presence of foreign embassies and institutions with unique and interesting architectural heritages. This is the public's opportunity to see the best in Washington and world architecture! Reservations and photo ID required.